That’s Good !! you get OnePlus 6t, its Amazing smartphone. its has fantastic features, you show Notch in your OnePlus 6t.notch is an only cutout at the top of your smartphone displays. 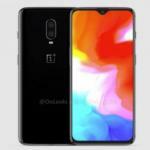 Notch is not new features because its also come in OnePlus 6 device. bt here little different that OnePlus 6t has waterdrops type notch. first-time iPhone X introduce this Notch Features. and nowadays Android Manufacturers Follow it’s like Oppo, Huawei, Pixel, Vivo and OnePlus. Some people dislike the annoying notch area on their smartphone. so with this, our guide enable/ disable the notch on OnePlus 6T under mobile screen settings. let’s follow our step and easily remove or hide the Notch Area on OnePlus 6t Android Pie. 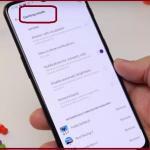 when you people disable the notch area, that time you can not use notch area but when you enable Notch area that time you can easily use notch area on your OnePlus 6t android 9.0. if you people dislike notch area so go with this article follow give all step one by one and teach how to hide the notch area in OnePlus 6T Android Pie. Step 1: Open setting icon on your mobile. Step 2: swipe down notification panel from the top of the screen. you will show more option like auto brightness, sleep, Night mode, reading mode, screen calibration, Notch display, full-screen apps, Ambient display, wallpapers & theme and more. Step 4: Tap Notch Display. 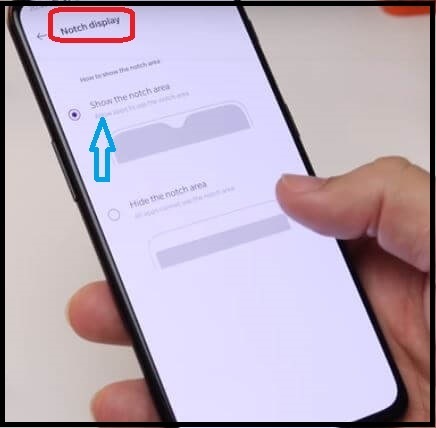 Step 5: if you want to hide the notch area on OnePlus 6t Pie. so, choose the option to hide the notch area. and tap it. now you cant see notch area but after some time you want Show Waterdrop Display Notch so enable notch area using above settings. Like it and Share it with your friends to get more tips and tricks on tech guide in free. Feel free to comment us if you found something missing hear on How to hide the Notch area in OnePlus 6T Android Pie and share your idea.